Zanya Spa Salon is New Jersey's award-winning spa and salon serving the Lambertville and New Hope communities. Services range from manicures and balayage hair coloring to bridal and men's services. To create a stunningly visual modern looking website, and stand out from the competition. I approached this site with 1 main focus – making their gorgeous photos the heroes of the site. After building the initial site structure with ACF Pro, I worked with their talented team on their content, pricing listings and team bios. 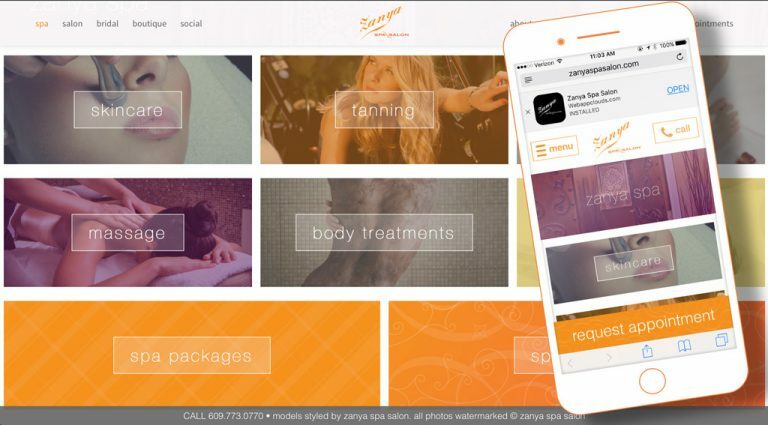 Zanya Spa Salon now has a new website with a sophisticated style which matches the aesthetic of a Zanya Experience. Support for mobile, video, and mobile app integration. Being a Zanya patron myself, I can attest to the incredibly high standards and quality of service from this award-winning spa and salon.